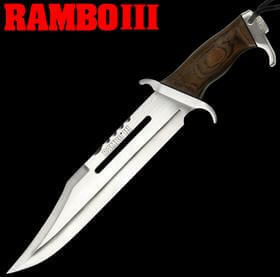 This Rambo Part III Hunting Knife is a beautiful replica of the famous Rambo Movie Knife. 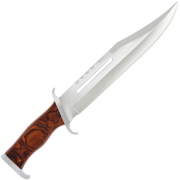 The largest of the Rambo knives and in my opinion the best looking it measures in at 16.25 inches (42cm). 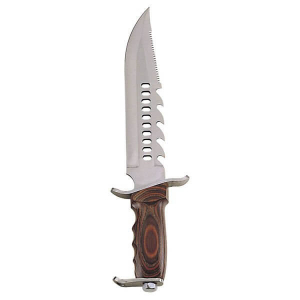 The built quality is excellent with a highly polished 420J stainless steel blade, steel hand guard and laminated hardwood handle. 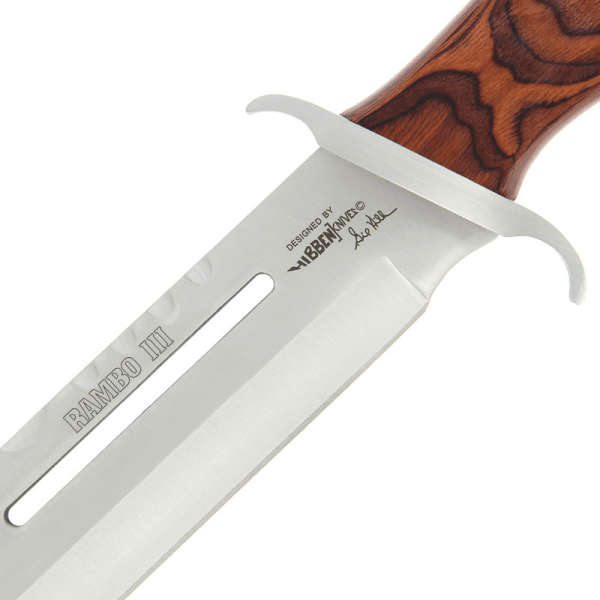 The knife has a large 11 inch blade with the Rambo III logo printed on to it. Sharp and functional with a very attractive tan leather sheath with belt loop and lanyard. The ergonomically designed handle is a deep brown hardwood which has been laminated and fits very comfortably in the palm of your hand. 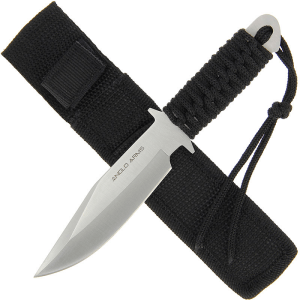 Originally designed in the 1980’s by Gil Hibben the Rambo III hunting knife is exception. This is the absolute nuts!! 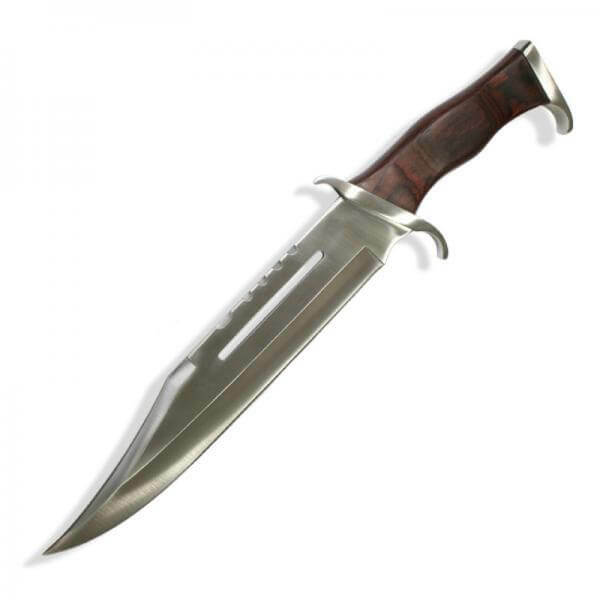 A very faithful reproduction of the now classic Hibben design that was personally comissioned by Sylvester Stallone for use in Rambo III. It’s finish is lovely the wooden handle just feels right in your hand. This is far more elaborate than the previous two knives from first blood and first blood part II However it is by far my favourite of the Rambo series replicas. A must buy for any knife collector. Awesome Knife! The handle of the blade is beautifully processed. Looking real badass! Very substantial knife, chunky and heavy with a reasonably sharp blade and solid construction. 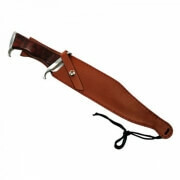 Looks undeniably impressive and comes with a functional sheath.